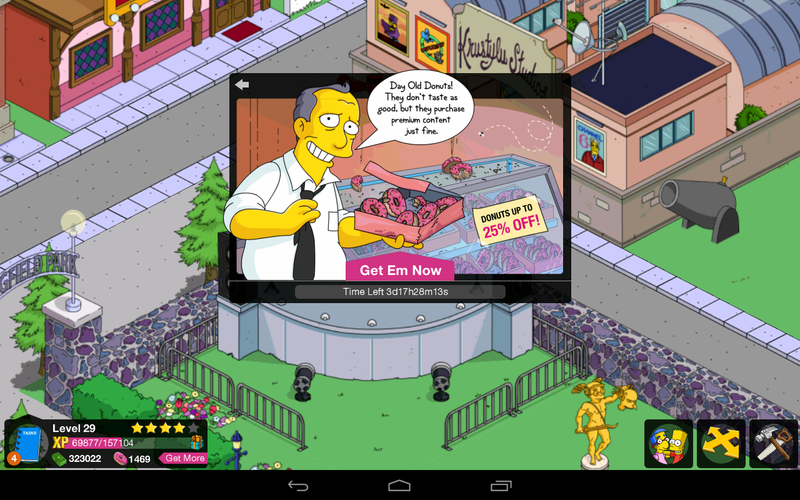 The Simpsons Tapped Out received a minor update today, which brings back Gil with a brand new donut sale. I have an Android tablet and the first time I loaded the updated game and zoomed into Gil my game crashed. After rebooting and reloading things worked fine. This seems to be an issue only affecting Android users, as my wife who uses an iPad had no issues with the update. 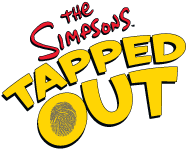 This is not the first time Gil has caused problems for Android users, so try deleting and re-installing the game if you cant resolve the crashing issue with a reboot. Also if you make a purchase, have a receipt, but no donuts, try the same thing. If the problem persists contact your respective (Apple or Google) App Store for a refund. Why in the heck don't they give you some idea of how much those "packages" of donuts cost for each?? Boatload, store, truckload, etc... but now price? !